Our Quadrille tile design is available in more than 300 colors and glazes, so our clients can customize this design to their exact needs. If you do not find a color that works for your project, our team can create a custom color for you. As seen in the picture below, you can choose to have multiple colors in the Quadrille tile design to create a repeating pattern. The corners on the tiles line up with the pattern on the other tile corners, so you can choose different colors without worrying about it affecting the design. You can work directly with our tile designers throughout the entire process. 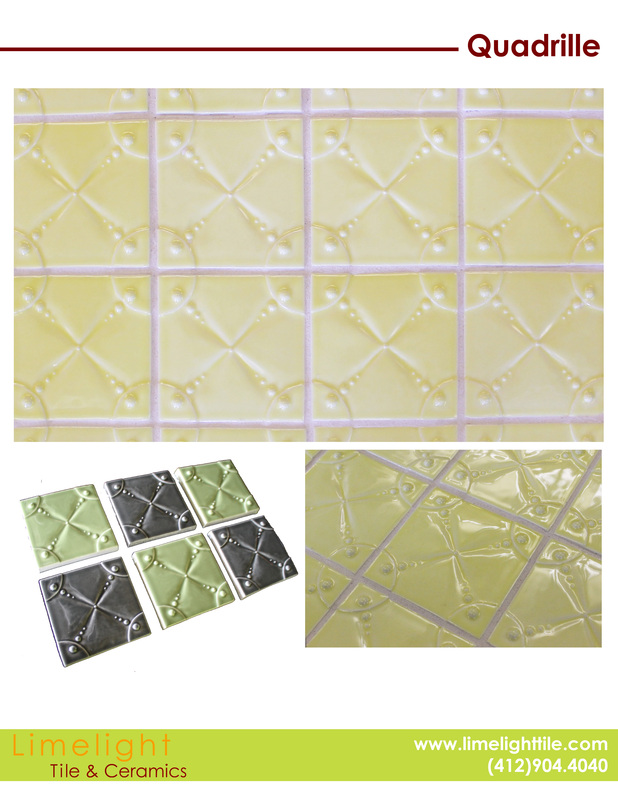 Our team members can assist you with selecting restaurant tile and ceramic tile murals. For additional information about our Quadrille design and other ceramic tile patterns, you can give us a call at (412) 904-4040 today. We can schedule a time for a personal consultation to discuss your tile needs.